Latifa Dirbas carries a jug of water on her head from the village of Bal’a, weaving from one mountain to the other while keeping track of the revolutionaries. Meanwhile, Umm Wedad Arouri leaves her village of Arura to Saffa, then to Birzeit, then to Ramallah, where she delivers an oral message to the rebels there. She answers their questions, describes the means of transport, and gives them supplies, telling them where the weapons are located. British soldiers stop Latifa on her way, but she tells them she’s only going to fetch some coal. 1. Abdul Hadi, Fayha’. “Adwar al-mar’a al-filastiniyya fi al-thalathinat 1930 – al-musahama al-siyasiyya lil mar’a al-Filastiniyya [The role of the Palestinian Woman in the Thirties, the Political Participation of the Palestinian Woman]. Al- Bira: Markaz al-Mar’a al-Filastiniyya lil-Abhath wa al-Tawthiq, 2005, p. 46. In the 1920s and 1930s, the entire Palestinian family was affected by colonial policies. But if only historical documents are observed, one will note the marked absence of women in this period, whether it be socially, economically, or in struggle. Even so, the Palestinian narrative before the Nakba will remain incomplete without examining and understanding the role of women in the struggle against colonialism. Although colonial regimes have often claimed to champion women’s liberation, supposedly aiming to spread “freedom and justice” to marginalized groups, even cursory scrutiny will reveal the spuriousness of such claims. Often, colonialism limited the parameters for women’s emancipation, under the pretext of respecting local society, customs, and traditions. But Palestinian women did not need colonialism to justify their actions. They fought in their homes and in the streets. They resisted colonialism politically, economically, and ethically. And quite crucially, they played an instrumental role in guerilla warfare by supporting the male fighters—as carriers of information, keepers of secrets, and smugglers of weapons. Their role in uplifting morale only bolstered such tasks. 1. Fleischmann, Ellen. 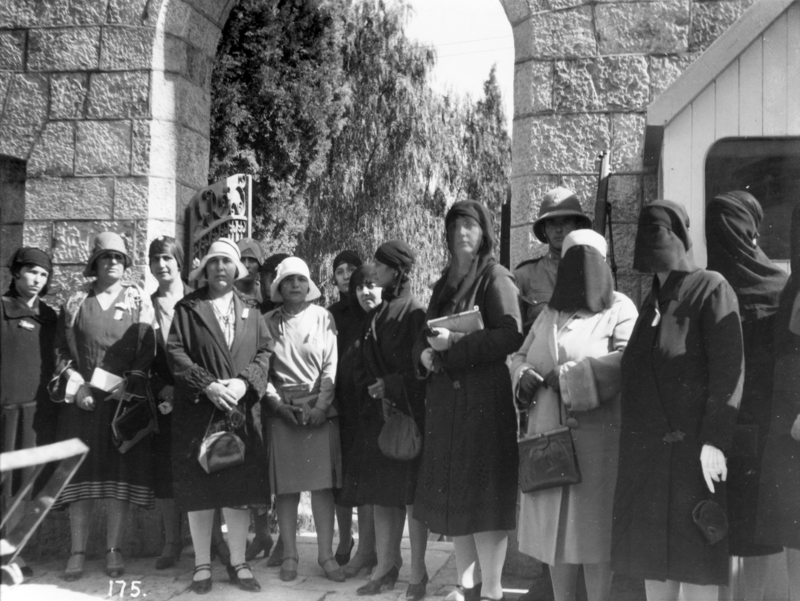 Jerusalem Women’s Organizations During the British Mandate, 1920s-1930s. Jerusalem: Passia, 1994, p. 13. In those circumstances, the British Mandate imposed employment laws that granted jobs to the petty bourgeois class at the expense of other classes. Education was neglected, garnering only 5% of budget allocations. At the end of 1927, the number of schools for boys was fifty-three, compared with only four schools for girls. This reflected the absence of women in colonial thinking, despite the slogans calling for their liberation. The colonial masters cynically blamed this absence on the attitudes of local society. This was the same justification the British used to grant women unspecialized jobs, claiming for instance that there were no qualified “Muslim female teachers” capable of working in rural areas.1 But the “efficiency” of rural women surpassed colonial expectations. 1. Abdul Hadi, Palestinian Women, p. 84. 1. Kabaha, Mustafa, and Nimer, Sarhan. Sijil al-Qada wa al-Thuwar wa al-Mutatau’een Lithawrat 1936-1939 [A Record of Leaders, Revolutionaries, and volunteers in the Revolution of 1936-1939]. Kufr Qare’: Dar al-Huda, 2009, p. 298. 1. Abdul Hadi, Palestinian Women, pp. 83-85. 1. Khartabil, Wadi’a. “Dhikrayat wa Muthakarrat Qadura Khartabil, Bahthan ‘an al-amal wa al-Watan, Situn ‘Aman min Kifah Imra’a fi Sabil Qadiyyat Filastin [Memories and Memoirs of Qadura Khartabil, In Search of Hope and a Homeland, Sixty years of a woman’s struggle for Palestine].” Beirut: Bisan Publishing House, 1995, p. 76. Tarab Abdul-Hadi, one of the pioneers of the Palestinian national movement, lived in a small house East of Jerusalem during the British Mandate. From this house began the movement of a silent convoy of cars, which passed through the city of Jerusalem, and ended with a speech in front of the High Commissioner’s headquarters. A list of demands from the demonstrators was presented to him.1 This took place immediately after the first women’s conference was held in October 1929, with the participation of 300 Palestinian women. 1. Alqam, Nabil. Tarikh al-Haraka al-Wataniyya al-Filastiniyya wa Dawr al-Mar’a Fiha [History of the Palestinian National Movement and the role of women in it]. Al-Bira: Markaz Dirasat al-Turath wa al-Mujtama’, 2005, p. 86. This feminist movement did not emerge by happenstance. The clash with the British colonists led to the emergence of the Palestinian national movement, in which the question of identity was of primary importance. This also put the feminist movement in conflict with its national and social identity, and pushed it to search for its own political orientation and national discourse. 1. Abdul Hadi, Palestinian Women, p. 202. 2. Alqam, Palestinian National Movement, p. 81. 1. Abdul Hadi, Palestinian Women, pp. 68-69. 1. Alqam, Palestinian National Movement, p. 81. 2. Khartabil, Memories and Memoirs, p. 57. There are two stories surrounding the meeting of these women activists with the wife of the High Commissioner to submit to her a list of demands. This was rejected on the grounds that the matter was a political one, and that the wife of the High Commissioner has nothing to do with politics. 1. Alqam, Role of Palestinian Women, pp. 174-175. The High Commissioner appears in this story as a progressive British politician, and despite his “limited powers,” he appreciates the renaissance of these Arab women, which, it seems, was due to the open-mindedness of the civilized Mandate. But if we look at one of the High Commissioner’s own papers, we discover an entirely different narrative. The High Commissioner’s official papers stated that he met with a delegation of Arab women during the conference, but rejected the delegation’s request to organize a demonstration. He threatened some “Muslim leaders” that if they did not interfere to prevent the demonstration, their women might get beaten up by the authorities. These “Muslim leaders” cooperated and changed the arrangements for the demonstration, which took the side roads to reach the al-Aqsa Mosque. This explains the reason why such a march began in silence and not through main streets, a silence that, if not put in its real context, may give a false impression of the female protest action. Some of the women reported that they raised their headscarves over their hair when the High Commissioner was interviewed, as a sign of a lack of appreciation. Others refused to drink coffee, which was presented in the guest’s hospitality, as a way to express their dissatisfaction.12 Some men obeyed the threats of the High Commissioner and put pressure on women to change the course of the demonstration. 1. Fleischmann. 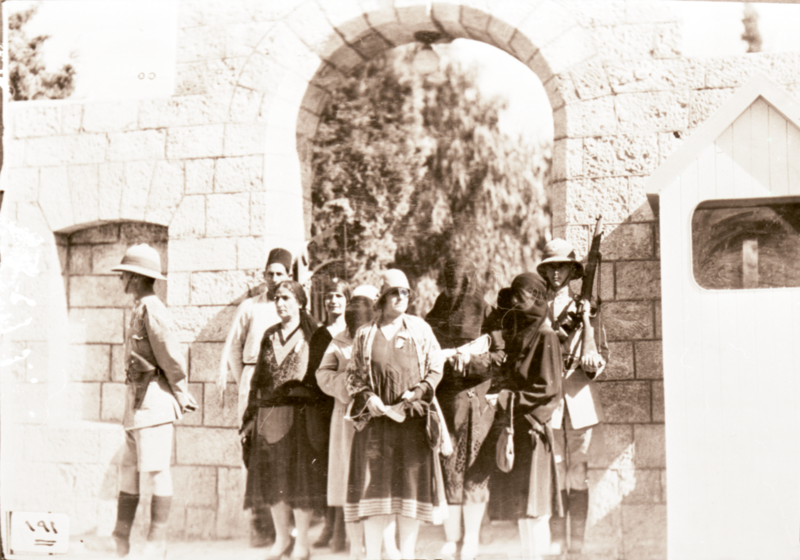 Jerusalem Women, pp. 25-26. 2. Abdul Hadi, Palestinian Women, p. 37. Just as women took up arms and engaged in politics, they also played their role in war and in peace, healing wounds both physically and spiritually. Some Palestinian women received first aid courses, helping patients until the arrival of a doctor. 1. Saleh, Jihad. Asma’ Tobi 1905-1983, Ra'idat al-Kitaba al-Nasawiyya fi Filastin [Asma’ Tobi 1905-1983, pioneer of feminist writing in Palestine]. Al-Bireh: Palestinian Authority Ministry of Culture, 2011, p. 30. 1. Kabaha, Record of Leaders, p. 693.